The City Academy Hackney Choir were the runners-up of the 2018 Jack Petchey Perfect Pitch competition. 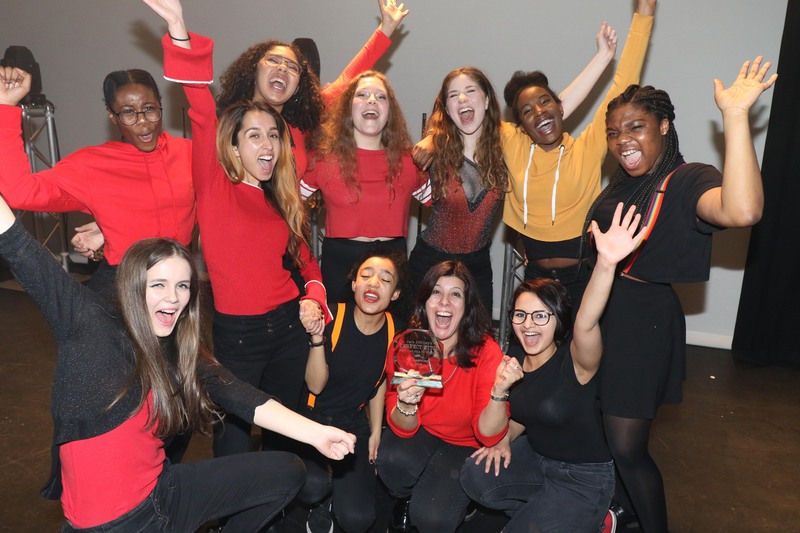 Singing ‘acapella’ style, the troupe, who performed at the final in Barking’s Broadway Theatre on Saturday 17th March, walked away with a £250 prize. The competition saw young acapella groups from London and Essex perform in front of a packed out theatre as well as an expert judging panel. Judges included West End star of the Book of Mormon and Sister Act, Nick Mclean, and winner of the BBC Young Composer Competition, Thomas Hewitt Jones. The first ever Jack Petchey’s Perfect Pitch competition saw ten groups take to the stage to wow the audience with their vocals and performance skills. The audience were treated to renditions of pop songs, ballads, musical theatre performances and even beat-boxing! Composer, Thomas Hewitt Jones said “I was so impressed by all the young singers and what they achieved in their polished and committed performances during the final of Jack Petchey’s Perfect Pitch. It was a hard decision for us judges, as every group gave a very entertaining and convincing rendition of their song. In the end we chose two groups which had, in our opinion, an extra special something on the night. The City Acadamy Hackney Choir impressed the judges and audience with their powerful voices that projected beautifully throughout the theatre. They worked well as a team and listened well to each other as they performed, which is a key skill when performing a song in acapella. The winner’s spot went to NoteWorthy, a group from Wallington High School for Girls in Sutton with a prize of £500. Sir Jack Petchey, aged 92, said “It is right that we should support our youth in this way. It is right that we encourage and nurture them to grow their talents – whatever those talents may be and they have as much fun as possible on the way! How I would love to be able to sing like them!